The world faces an enormous challenge: how to lift more than one billion people out of extreme poverty and meet the livelihood and resource needs of a projected nine billion people in 2050, while keeping climate change, biodiversity loss and other impacts within acceptable limits? Recognizing the scale of this challenge, governments have introduced the need for ‘transformation’ into the post-2015 development agenda debate. This reflects the belief that the kind of change the post-2015 goals need to deliver is of a different order than is currently being achieved—that a ‘business-as-usual’ (incremental) approach to improving development outcomes is insufficient in today’s increasingly complex and interconnected world. Transformation implies fundamental change—a reappraisal of the basic assumptions and building blocks that underpin current approaches to growth and development. The post-2015 development agenda offers an opportunity to redefine development and how to achieve it. That is, to identify what we will do more, different, and/or better between 2015 and 2030 “to address remaining gaps in the implementation of the outcomes of the major summits on sustainable development, to address new and emerging challenges and to seize new opportunities … supported, as appropriate, through provision of means of implementation”. The long-term aim of such an agenda is a transformation in societies, economies and systems of governance that achieves inclusive and sustainable development. 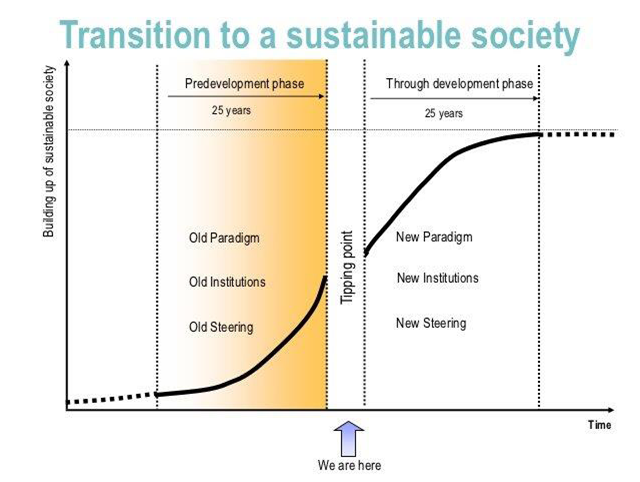 Systemic transformation needs to happen at the level of both ends (development outcomes) and means (identifying risks; addressing root causes; and accelerating key drivers of change for inclusive and sustainable development). It is about transforming existing structures (physical and economic infrastructure), culture (collective set of values, norms, paradigms) and practices (behaviors, implementation modalities). Major transitions have happened before in history—for example, the shift from extensive to more intensive agriculture, or the transition from a largely industrial-based to a service and knowledge-based global economy. However, such transformative shifts do not happen spontaneously—they need to be managed and grounded in innovation, learning and a shared vision of the future. Four transformations for a post-2015 agenda are highlighted below. These transformations are universal—applying to all countries while recognizing differentiated responsibilities according to each country’s development context and capabilities. These transformations also are overlapping and strongly interdependent. Taken together, they comprise a vision for achieving inclusive and sustainable development for all.